All of you who are desperately trying to lose some weight should opt for negative calorie foods to add to your diet. 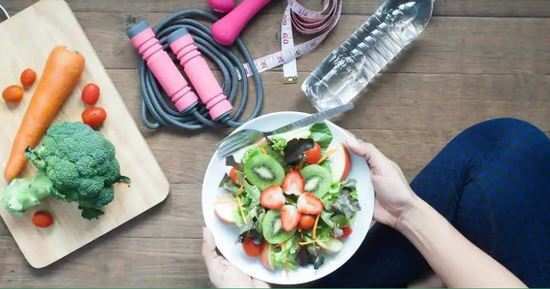 Apart from exercising and eating healthy, you could just eat these foods as well as they are low on calories and actually help burn more calories than they contain. However, it is also important to remember that you should not restrict your diet to these foods. You also need to follow a proper diet and eat right. Apple: Apples contain just 50 calories per 100 grams. Remember to retain their skin when you eat them though. It even contains pectin which aids weight loss, and boosts digestion. Broccoli: Broccoli is considered as a really good source of fibre and is also thought of as a superfood because it contains antioxidant properties. Watermelon: Its lycopene content boosts heart health and the nutrients present in it work wonders in improving flood flow and immunity. Potato: Potatoes contain just 58 calories and are a good source of potassium and vitamins B6 and C. You'll have to eat them without frying though. Spinach: Apart from being rich in Vitamins A and K, it is also rich in minerals that aid the body. So, when will you start incorporating these foods in your diet? Can this new test determine if you are sleep deprived? Is the carnivore diet as healthy as it is being claimed to be? Is consuming milk regularly good or bad for health? 2Can this new test determine if you are sleep deprived? 4Is the carnivore diet as healthy as it is being claimed to be? 8Is consuming milk regularly good or bad for health?